It was in the winter of 1992 that Claudie and Bruno Bilancini (a designer and oenologist couple by trade) had the extraordinary luck of being able to lease one of the top sites in Monbazillac, the Cru de Tirecul (one of the ancient premier cru sites in the AOC.) Even though the vineyard and small cave were in disrepair, they cared for it as if it were their own, and in 1997, realized their dream of owning the property. Now, Tirecul la Graviere is recognized as the top property of the AOC. The fame of Chateau Tirecul la Graviere has spread far and wide over the last several years. Most notably, Robert Parker has awarded the property two 100 point scores and compared it with Sauterne's Chateau d'Yquem. With good acidity and a solid backbone, these wines can last for decades under optimal storage conditions, a rarity for wines from this area of Southwest France. 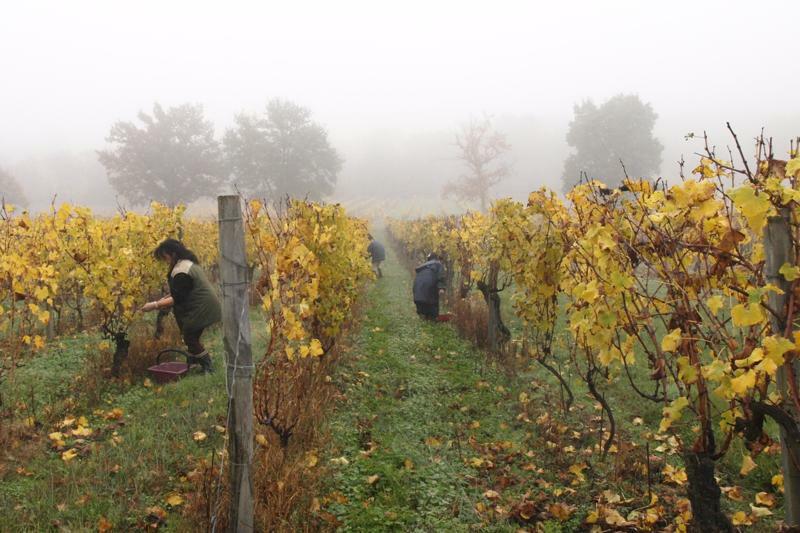 These wines are magical, defining examples of the best that Monbazillac can offer and more.